What do you think your students would do with a sock that has a hole in it? Chances are, they’d pitch it in the trash. But here’s something to teach them: Textiles should never go in the trash. Even worn, torn, and stained items can be recycled and reused. Every year, 21 billion pounds of textiles end up in landfills. (Remember that sock? That equals about 336 billion socks!) Let your students take the lead to keep textiles out of landfills by becoming SMART Recycling Rangers. At TheMailbox.com/smart, you’ll find all the help you need. 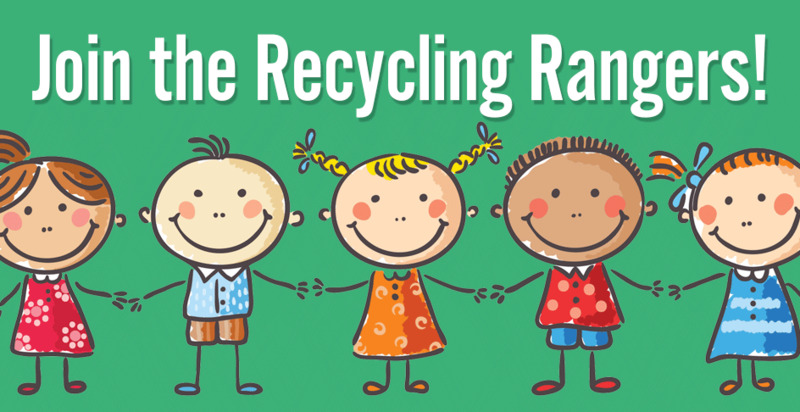 Get free Common Core–aligned skill pages to help you teach about textile recycling. Enter for a chance to win a $200 Amazon gift card to purchase science teaching materials. Three runners-up will each win a $100 Amazon gift card. Learn how your school can earn money by holding a textile-recycling drive and get resources to support your drive. Your teaching efforts do make a difference. A recent survey showed that before introducing textile recycling to their students, only about 25 percent of the teachers said their students were familiar with textile recycling. After using the materials, nearly 84 percent of the teachers said their students knew to recycle textiles and more than 98 percent felt it was important. Don’t wait; click here now to get your free resources and for a chance to win a $200 Amazon gift card. Then submit a comment for a chance to win the book! PS: January is Get Organized Month—a perfect time to clean closets and hold a textile-recycling drive at your school! My family always finds people (children or adults) that need them or we donate them to our local store. I like to take worn out socks and t-shirts and use them for dusting or cleaning. I like to donate to Goodwill or to needy members of our school community. Most of my children’s clothes are still in good condition when they are outgrown so it is nice to have them on hand at school for children in need, especially during seasonal changes. I usually give my daughters old clothes to our neighbors so they can get some use out of them. Then I ask them to pass them along or to give them to Savers or Goodwill. Quilting is a great way to recycle old Tee shirts and make great gifts. They are so soft. I also purge my closets and give to goodwill. Then of course the classroom socks that are mismatched can be amde into so many things hand puppets. Snakes with the kiddos and this year I am making octopus too with the kids. The absolute best way to recycle textiles is to pass them on to someone who can use them. My sisters and I started back when we were children and continue the tradition now. Currently, my daughters give me hand-me-ups! Last year a co-worker started a recycling project at our Day Care. The children love recycling glass, plastic, aluminum, paper, etc. I can’t wait to add textiles. Especially since one of my little girls told her mommy not to throw her old jeans and took them out if the trash. She told her that she needs to recycle them. So her mom donated them to a local charity. Now that I have some info. I am going to start a textiles recycle project this year in my classroom to go with the other materials. We give many of our kids clothing to kids in the neighborhood who can use them.